I have a 12 x 24 intex pool and hired an excavator to level out the slope in my yard. 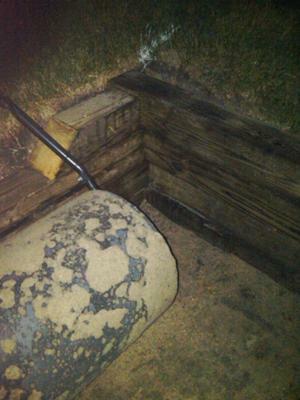 He dug a hole 29" on the near side and removed the grade out 30' with the far side edge being down about 2". The directions for the intex said nothing about putting sand down so I hired the excavator to just dig and not put down any fine mason sand. He dug the hole while I was at work and when I returned it was clear that there would be no way to put the pool down on the dirt/mud surface...it was full of ruts, roots and not really level. 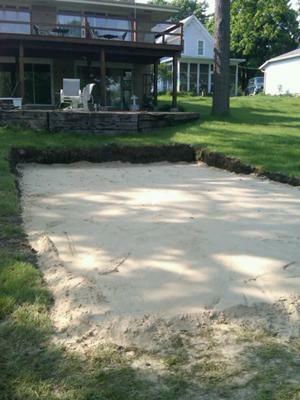 The excavator said that he could only get it level with sand and that I should have done it that way to begin with. (OK you're the expert why didn't you tell me that on the phone? was my question to him) So I hired him again to bring in 2 inches of sand....we'll he overestimated and ended up dumping 8 yards or about 6" inches of sand in the hole and "leveled" it with a rake. (another $200) When I set the pool on it (we assembled the pool off to the side and had about 8 people lift it into place) it was immediately apparent that the pool was out of level by about 4" from near side to far. So now I leveled it by laying pavers at the corners and mid points of the sides and ends... using a 12' 2x4 between the pavers and a 6 ft level on the 2x4 I was able to get it level. So this long story leads to my question that just dawned on me after 4 days of fixing the pros work. 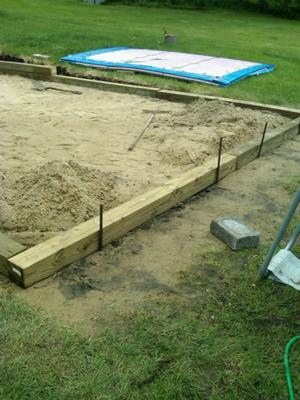 I used 6x6 pressure treated posts and built a frame to keep the sand in place as the far side that was supposed to be level with the ground had to be raised up about 6 inches. Will a 6x6 post with two 24" steel stakes hold the weight of a 12x24 pool? Hi Steve. I love what you have done. I think it is an ideal base for an Intex pool. As long a those boards are level, and the sand packed solid, you could not have done better. 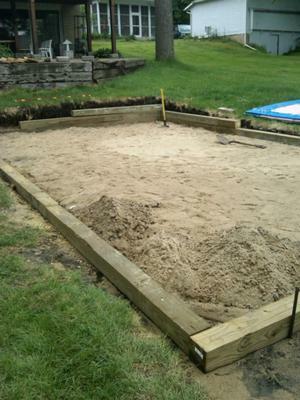 Be sure to use blocks when setting the pool, they really help keep a pool level when it is installed on sand. Most of the weight goes straight down. The outside stuff you did is critical for keeping all the sand in place but I would not worry about it not holding. It looks great. Hello there... I saw your post and was wondering how it turned out in the end... Did you put any foam on top of the sand? I have a similar setup but have not completed yet. It's coming out nice but am getting worried about wash out. Yes I used 9 4x8 sheets of insulation board. Duck taped them together and then wrapped it in a large tarp. Placed the pool right on it and it works great. Great feel on your feat and tempers the transfer of cold from the ground through to the water. 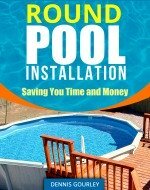 I also ended up putting a deck around the pool and got a long solar heater that I run with a submersible pump instead of the filter pump. Very happy with the set up. Thanks sooooo much for letting me know... I have been waffling on what to do and your setup, in the pics, look almost identical to mine!!! So,,, I'll take your lead and do the same. what was total outside dimensions?